After losing their World Cup opener to Mexico, Germany will be desperate to bounce back when they face Sweden on Saturday. Joachim Low’s men currently sit in third place in Group F, with Mexico and Sweden both collecting three points in their opening encounters to sit joint top. In turn, the reigning champions can’t afford to lose this weekend, or it could result in an early exit from Russia. With that in mind, the last thing that Low needs is to be hit with an injury problem, and as reported by ESPN, that’s exactly what he’s got as defensive stalwart Mats Hummels is expected to miss out due to a neck injury. It remains to be seen if he doesn’t recover in time, but given the physical nature of the Swedes, it’s not a risk worth taking as far as Germany are concerned with Hummels arguably better off sitting out and preparing for the South Korea game instead. Nevertheless, it’s far from ideal for Low to have to shuffle his pack and make unwanted changes to the line-up, and time will tell if that disruption has a negative impact on the team in what is a crunch clash as they look to keep their fate in their own hands heading into the final group game. 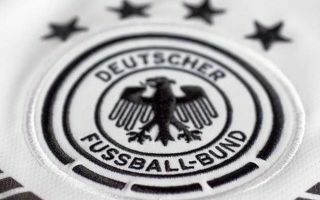 Based on their performance against Mexico, particularly their defensive display, the Germans have a lot of work to do and improvements to make in order to showcase the quality and level of play that took them to the trophy four years ago. Losing one of their defensive leaders isn’t going to be helpful in that regard.